HORSE RACING: Thirty-three consecutive wins. More than $26 million in prize money. 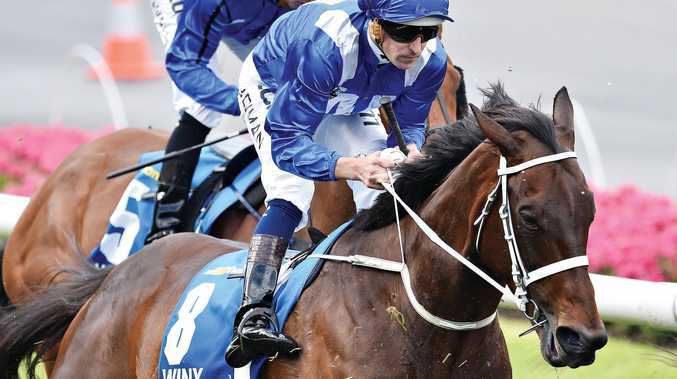 There's little doubt Winx has been one of the greatest thoroughbreds in Australian history. The mighty mare has transcended sport and taken the whole country on one hell of a ride. Following her fairytale finish on Saturday we've asked local trainers how they will remember the champion galloper. Brett Dodson - I've went and watched her a couple of times, she's just an exceptional animal and easily the best I've seen. I was down there on Saturday and the atmosphere was incredible, it was the perfect finish for her. Jim Jarvis - There were a lot of great horses racing at the same time when I was growing up in Melbourne but you'd certainly say the three recent mares Makybe Diva, Black Cavier and Winx were all exceptional and the horse of a lifetime. Warren Gavenlock - Everyone would love to have one like her. She's been well managed by the trainer, jockey and owners right from the start. Saturday was a great day for racing, everyone got to see her and say goodbye. Sally Taylor - She's an inspiration for young children to get involved with racing. I was down there on Saturday and there was a lot of children and families who wouldn't normally be at the races. She was a freak of nature, I don't think we'll see another like her. Trevor Hardy - She's probably the best I've seen and I've seen a lot of good ones over the years. It's been so great for racing to have another champion, it's given the sport a real boost. Brett Bellamy - She's just been sensational for racing as as a whole, we need horses like Winx in racing. I'd love for her to race on, I can't see any reason why she couldn't win her fifth Cox Plate this year and break more records but they know her better than I do and she will be missed.